Cover 3D represtentation of growth using DLA - Houdini FX Model - Script from Entagma.com. (2017). VEX in Houdini: Diffusion Limited Aggregation (Plus Rendering in Mantra & Redshift) | Entagma. [online] Available at: http:// www.entagma.com/vex-in-houdini-diffusion-limitedaggregation-plus-rendering-in-mantra-redshift/#more-879 [Accessed 14 Jul. 2017]. + Acknowledgement The completion of this undertaking could not have been possible without the participant and assistance of so many people whose names may not be enumerated. Their contributions are sincerely appreciated and deeply acknowledged. However, immeasurable appreciation and deepest gratitude extended to the following persons who in a way or another have contributed in making this study possible. I wish to express my gratitude to my thesis advisor, Professor Mario Carpo for his generous advice and enless guidance and support throughout my research. I would like to also thank our BiotA-Lab tutors Marcos Cruz, Richard Beckett, Christopher Leung, Javier Ruiz, and Shneel Malik for their encouragements, kind and understanding spirit, and their enthusiasm with regards to my research and the living plateau group work. the elements in buildings as being rigid and lifeless. Materiality in the realm of design is treated as an additional skin rather than the main component that affects the overall shape. Similar to human skin, the materials that are chosen to be the second layer of the design repel and protect from any exterior inhabitants that can invade and grow. However, one cannot be entirely certain whether these materials were designed to attract colonies of different species or not. These species can then be used as a building system that can be adaptive and transformative in its environment and the geometrical shape that it strives on. various geometrical components on a horizontal surface that can host different kinds of species and promote growth in a controlled state. The controlled state can be achieved by simulating biological growth more accurately to promote colonisation of multispecies, taking into account the many biological and environmental dynamics involved. This thesis will assess the potential of agent-based modelling (ABM) in predicting the growth of species on material surfaces to achieve a level of bioreceptivity1. describe a synthetic relationship between forms and nature. To be bioreceptive means to be â&#x20AC;&#x2DC;aliveâ&#x20AC;&#x2122; by attracting and hosting multiple species in a controlled state as part of the design. Fig 1 Permeable Plateau - Conceptual Render ElJamal, S. Dewi, M. Ding, H. Yucel, I. Jeng, Y. (2017). Proliferate - Permeable Plateau. 3D represtentation of growth using DLA - Houdini FX Model - Script from Entagma.com. (2017). VEX in Houdini: Diffusion Limited Aggregation (Plus Rendering in Mantra & Redshift) | Entagma. [online] Available at: http:// www.entagma.com/vex-in-houdini-diffusion-limitedaggregation-plus-rendering-in-mantra-redshift/#more-879 [Accessed 14 Jul. 2017]. + CHAPTER I: Hypothesis Random complexity or fractal methodology? Fig 2 The Life Cycle of Moss Growth (Physcomitrella Patens) Frontiersin.org. (2017). development of psychomitrella. [online] Available at: http://www.frontiersin. org/files/Articles/25695/fpls-03-00166-HTML/image_m/fpls-03-00166-g001.jpg [Accessed 10 Jul. 2017]. Life is a driving force that proliferates, develops and changes. It is described as an: â&#x20AC;&#x153;intermediate energising of conscious being [that] liberates into sensitive action and reaction, a form of the creative force of existence which was working subconsciously or unconsciously, absorbed in its substance, It supports and frees into action the apprehensive consciousness of existence called to mind and gives it a dynamic instrumentation so that it can work not only on its forms but forms of life and matterâ&#x20AC;? (Aurobindo, 1939). Dictionary. [online] Dictionary.cambridge.org. Available at: http://dictionary.cambridge.org/dictionary/english/ symbiosis [Accessed 10 Jul. 2017]. 2 Natural Selection: the process whereby organisms better adapted to their environment tend to survive and produce more offspring. The theory of its action was first fully expounded by Charles Darwin, and it is now regarded as be the main process that brings about evolution. Bbc.co.uk. (2017). BBC Bitesize - GCSE Biology - Natural selection and selective breeding - Revision 1. [online] Available at: http://www.bbc.co.uk/education/guides/z6trd2p/revision [Accessed 10 Jul. 2017]. (Abu Taih, 2010). Whereas, Charles Darwin’s theory of evolution stated that the complex form derived from nature were the result of the interaction between different organisms and species that emerged from the idea of the natural selection. Nonetheless, their early studies and observations were contradicted by many scientists who were influenced by Newton’s philosophy on reductionism2. Adam Smith which means “The unobservable market force that helps the demand and supply of goods in a free market to reach equilibrium automatically is the invisible hand.” The Economic Times. (2017). Definition of ‘Invisible Hand’ - The Economic Times. [online] Available at: http://economictimes.indiatimes.com/ definition/invisible-hand [Accessed 10 Jul. 2017]. 2. Reductionism: “the practice of analysing and describing a complex phenomenon in terms of its simple or fundamental constituents, especially when this is said to provide a sufficient explanation.” Dictionary.com. (2017). the definition of reductionism. [online] Available at: http://www.dictionary.com/ browse/reductionism [Accessed 10 Jul. 2017]. + Fig 3 Conceptual Illustrtation of Reductionism ElJamal, S. (2017). Proliferate - Permeable Plateau. did not follow the idea behind reductionism. Speecies Theory (A) Lineage “An evolutionary species is a lineage (an ancestraldescendant sequence of populations) evolving separately from others and with its own unitary evolutionary role and tendencies.” (Simpson, 1961: 153) The Diagram Shows that in (A) the branching system overlaps one another and is not continous branching system. (B) Clades which clearly highlights the continous nested system. QUEIROZ, K.E.V.I.N.D.E., 2011. Branches in the lines of descent: Charles Darwin and the evolution of the species concept | Biological Journal of the Linnean Society | Oxford Academic. OUP Academic. Available at: https://academic.oup.com/ biolinnean/article/103/1/19/2452442/Branches-in-the-lines-of-descent-Charles-Darwin [Accessed July 14, 2017]. manner with a span of one element. system as a system that hosts an agent that has a network of interactions. These ‘adaptive’ agents compete and adapt to one another based on their agenda- that may have other sub-agendas included. The sub-agendas are also known to be the aggregate agents that can affect the main adaptive component just as much as the adaptive component can affect the aggregate. This symbiotic relationship in a practical system, where the rules might differ in the way agents interact, is conditional. Agents can adapt to one another by sharing information, or change their characteristics as the gain more experience or when they change their environment. System. (John Von Neumann Automaton), and experimental hypothesis. “For natural systems, this means that theory must provide techniques for prediction and control; for artificial systems, it must provide practical algorithms and strategies.” (Holland, 1975) Holland’s theory is to divide the adaptive tasks into three characteristics; field, structures, and operators. However, each characteristic yield different output depending on the environment of the system undergoing the adaptation process. uncertainty regarding the composition of the environment itself, which might affect the structural framework of the adaptive plan. As a result, one must generate different environmental settings that can have multiple possibilities for the structure to perform differently. The system will change its course even if the prediction and anticipation of the given system do not come true. Fig 6 Complex systems interact with the environment along other kinds of interactions which include “emergent systems properties - the higher level features; interdependencies between these elements and emergent properties; the multiple nested levels and hierarchies that can form; and if the elements and properties are included in other systems.” (Lucas, 2016). Web. Photofugue.com.au. (2017). processPhotography - Introducing Complexity. [online] Available at: http://photofugue.com.au/Pages/ Introducing%2520Complexity.html [Accessed 10 Jul. 2017]. Prusinkiewicz. In his studies, Hensel argued that the term ‘growth’ can be calculated by extracting inputs driven by forces of nature. Environmental modelling challenges architects to design active materials that are sensitive to their surroundings. He stated that “every change in the input yields different growth result,” which gives designers the advanced toolsets to create and control their products. + Fig 8 Conceptual Illustrtation of branching growth ElJamal, S. (2017). Proliferate - Permeable Plateau. Fig 9 Conceptual Render of Growth 3D represtentation of growth using DLA - Houdini FX Model - Script from Entagma.com. (2017). VEX in Houdini: Diffusion Limited Aggregation (Plus Rendering in Mantra & Redshift) | Entagma. [online] Available at: http:// www.entagma.com/vex-in-houdini-diffusion-limitedaggregation-plus-rendering-in-mantra-redshift/#more-879 [Accessed 14 Jul. 2017]. equation, to decipher the most complex systems, did not work. Fig 10 Conceptual Illustrtation of Cellular Automata Natureofcode.com. (2017). The Nature of Code. [online] Available at: http://natureofcode.com/book/chapter-7-cellularautomata/ [Accessed 10 Jul. 2017]. that might shape the future of new science. distinguished into two entities; black and white. the ‘white’ cell accounts for a non-living cell. borderline between reductionism and chaos. turns into a checkerboard pattern. Thus, resulting in a paradigm where systems are segmented in a top-down approach. On the other hand, Ulam had proposed the idea of deriving complex systems from simple rules called Cellular Automata. Fig 11 Snow Flakes Cellular Automaton simulation. Natureofcode.com. (2017). The Nature of Code. [online] Available at: http://natureofcode.com/book/chapter-7cellular-automata/ [Accessed 10 Jul. 2017]. Fig 12 3D Cellular Automaton simulation. Natureofcode.com. (2017). The Nature of Code. [online] Available at: http://natureofcode.com/book/chapter-7-cellular-automata/ [Accessed 10 Jul. 2017]. Fig 15: Rule 90 Repetitive Pattern with a higher resolution Your Bibliography: Natureofcode.com. (2017). The Nature of Code. [online] Available at: http:// natureofcode.com/book/chapter-7-cellular-automata/ [Accessed 10 Jul. 2017]. outcome was incredibly complicated in its patterns. pattern is generated from identical nested pieces. crystal form that can be derived from a single cell. 256 possible simplest cellular automata rules. more than one black neighbourâ&#x20AC;? (Wolfram, 2002). Fig 16 Cellular Automata Model on Netlogo - Using ABM Wilensky, U. (1998). NetLogo Life model. http://ccl.northwestern.edu/netlogo/models/Life. Center for Connected Learning and Computer-Based Modeling, Northwestern University, Evanston, IL. Your Bibliography: Natureofcode.com. (2017). The Nature of Code. [online] Available at: http:// natureofcode.com/book/chapter-7-cellular-automata/ [Accessed 10 Jul. 2017]. are unaffected by any conditions or variables. along with the conditions they are exposed to. can interpolate its properties in relation to external outputs. Through the invention of computation, one can deduct that emergent structures are a result of interactions and behaviours between several composed elements. For instance, the transition between the micro-level to the macro-level leads to the assembly of aggregate patterns. To yield the aggregate pattern of an unknown behaviour, an ‘Integrative Understanding’ is required. However, to understand the behaviour of a particular pattern that is known, a ‘Differential Understanding’ should be taken into account. (Wilensky & Rand, 2015) An integrative understanding requires a system composed of multiple elements sharing the same characteristics to follow one simple rule. Fig 18 Life Model on Netlogo - Using ABM Wilensky, U. (1998). NetLogo Life model. http://ccl.northwestern.edu/netlogo/models/Life. Center for Connected Learning and Computer-Based Modeling, Northwestern University, Evanston, IL. one another to behave like a clock ticking. At the end of each tick, the arrow will follow a particular rule. The system is composed to represent arrows on a circle with a radius of 20 units clockwise. After each tick, the behaviour is initiated to make each arrow move forward 0.35 units and then turn to the right by one degree. The rule will be repeated several times as the clock continues to tick. To change the pattern of the aggregate, one can slightly alter the rules and see how the aggregates will behave. For example, instead of making the arrow move forward by 0.35 unit, the distance can be increased by 0.5 unit. The pattern that will emerge from just changing one small factor of the rule is unpredictable. The circle will expand then contract in a repetitive motion as a result of this change. Fig 19 Life Model on Netlogo - Using ABM Wilensky, U. (1998). NetLogo Life model. http://ccl.northwestern.edu/netlogo/models/Life. Center for Connected Learning and Computer-Based Modeling, Northwestern University, Evanston, IL. two categories; static and dynamic. Static models are models in which the input and the output corresponding to the same point in time. While dynamic models represent models that attempt to the asset to represent the future impact of a particular activity. Wilensky, U. (1997). NetLogo Ants model. http://ccl. northwestern.edu/netlogo/models/Ants. Center for Connected Learning and Computer-Based Modeling, Northwestern University, Evanston, IL. the time-varying density of cars. to the sophisticated interactions between its parts. Fig 22 Ant Model - Netlogo Wilensky, U. (1997). NetLogo Ants model. http://ccl.northwestern.edu/netlogo/models/Ants. Center for Connected Learning and Computer-Based Modeling, Northwestern University, Evanston, IL. An ant gets attracted to a source of food. As the ant carries the food to its nest, the ant leaves a trail behind. This trail is a chemical reaction that attracts other ants. Each ant will sniff the trail and get attracted to the source of food. As they all gather the food they form a colony and transporthe food from the source to the nest. Fig 23 Ant Model - Netlogo Netlogo allows the user to control the population density, the diffusion-rate of the chemical and the evaporation rate of the chemical. The table shows the amount of food stored in the pile in relation to the time the food is Wilensky, U. (1997). NetLogo Ants model. http://ccl.northwestern.edu/netlogo/models/Ants. Center for Connected Learning and Computer-Based Modeling, Northwestern University, Evanston, IL. the randomness of the real-world system better. Randomness is easily merged into the model. results in a discrete, and not continuous, results. they have gathered about their surroundings. based on their aggregated decisions. agent-based modelling is NetLogo, which is a multi-agent programming language that models systems by natural and social occurrences. The program is used to model systems that continually undergo changes and evolve by giving the user the ability to individually program various agents that operate and interact with each other simultaneously (Tisue and Wilensky, 2004). In more practical terms, the species, in this case, are the agents that are given a set of rules that define their interactions with the environment. NetLogo would serve to stimulate their growth until a point where the pocket is filled, upon which the species falls out. The key here is to understand the growth patterns of the species so that it can be modelled to resemble a real-life scenario. To computationally simulate and predict the movements of the agents or species in the overall system, as well as the result of their interactions with the defined boundaries of the pockets in which they operate. Fig 24 Combined Analysis Jasss.soc.surrey.ac.uk. (2017). Cite a Website - Cite This For Me. [online] Available at: http://jasss.soc.surrey.ac.uk/14/3/7/ rebaudo_et_al_figure1_600px.png [Accessed 10 Jul. 2017]. The above figure illustrates a study to control pest invasion in an agricultural ecology. ABM is used in this context after several studies that were conducted using GIS (Geographic Information System). GIS extracts information of the environmental context, whereas cellular automaton is used to generate the pest population. Both studies is then combined to generate a data driven analysis using ABM. and an ‘active’ agent. The active agent is allowed to move one step at a time. However, this movement can be done randomly. The static agent remains in place until the active agent hits it and turns static. The active agent will be reborn once again, and the process will be repeated multiple times. The rule can be modified to alter the speed of the active agent and increase the chance of it sticking to the static agent. This can be achieved by adjusting the boundary of the static agent, thus, making the active agent move towards the static agent rather than wandering around. The active agent does not move towards the static agent in a linear manner but instead tries to find all possible directions to reach the static agent. Paulbourke.net. (2017). DLA - Diffusion Limited Aggregation. [online] Available at: http:// paulbourke.net/fractals/dla/ [Accessed 10 Jul. 2017]. Figure above shows a point attractor DLA. The Alive Agents bounces back and forth randomly until it hits a static point attractor and dies. Fig 26 DLA Line Attractor Paulbourke.net. (2017). DLA - Diffusion Limited Aggregation. [online] Available at: http:// paulbourke.net/fractals/dla/ [Accessed 10 Jul. 2017]. Figure above shows a line attractor DLA. This model illustrates the agents falling from top to bottom as they get attracted to the surface. Figure above shows a rectangle attractor DLA. The agents are born in the origin of the model and gets attracted towards the boundary. Fig 28 DLA Positive Circle Attractor Paulbourke.net. (2017). DLA - Diffusion Limited Aggregation. [online] Available at: http:// paulbourke.net/fractals/dla/ [Accessed 10 Jul. 2017]. Figure above shows a circular attractor DLA. The agents move randomly in this model however it gets attracted towards the circle boundary. Figure above shows an inner circular boundary attractor DLA. The agents are born on the origin of the circle and gets attracted towards the boundary of the circle. In this model, a color attribute has been added to differentiate the multiplegenerations that were born. Probability of sticking: 0.2 Through using Netlogo, Growth simulation is easy to achieve by changing variables of the existing model. The first extension allows the DLA user to be in control of the probability of stopping the variable agents. As stated by the study â&#x20AC;&#x153;one way to think of this system is that if a particle comes into contact with a stationary object, then it becomes stationary itself with 100 percent probability.â&#x20AC;? With this extension, a change in the resulting patterns can be observed by manipulating the probability by either increasing or decreasing the number of variable agents generated. exploring â&#x20AC;&#x153;how the probability of sticking is related to the number of neighbours that are already stationary.â&#x20AC;? These aforementioned neighbouring agents surrounding the variable agent play a very influential role in the resulting pattern. In this case, the probability of the variable agent to be surrounded by stationary agents is much higher than in the first extension, thus resulting in a pattern that can most likely resemble a blob or a clot. the three extensions of the DLA model, particularly the third, it can sometimes be “simpler to deviate from the original version, and not much is lost by doing so.” That is because the final extension allows the user of the model to be in control of the placement of the variable agent from the very beginning of the study. By placing the agent at random and not in the centre of the “world”, the user of the model gives room for further patterns that are unpredictable and more exciting. until an entire group of drunk people follow the same behaviour as the previous. The difference is that some individuals might take longer than the other to get lulled by the same habit. Fig 37 Network Diagram The above diagram shows that the probability of sticking results in affecting the overal volume of the growing seed. ElJamal, S. (2017). Proliferate - Permeable Plateau. + Fig 38 Permeable Plateau Top View ElJamal, S. (2017). Proliferate - Permeable Plateau. Fig 39 Permeable Plateau Top View ElJamal, S. (2017). Proliferate - Permeable Plateau. Fig 40 Environmental Studies ElJamal, S. (2017). Proliferate - Permeable Plateau. Fig 41 Component Typologies Dewi, M., Jeng, Y., Ding, H. Yucel, I., ElJamal, S. (2017). Proliferate - Permeable Plateau. Fig 42 Modified Representation - Houdini FX Model - Script from Entagma.com. (2017). VEX in Houdini: Diffusion Limited Aggregation (P Rendering in Mantra & Redshift) | Entagma. 5.0.1 Network of Interactions DLA can analyse different behaviours ranging from how humans interact with one another under certain circumstances to how microbes survive and affect other dominant species. Terrestrial species are used in the realm of design to investigate the probabilities of creating a living bio-receptive materials. for adapting to the conditions posed by the surrounding environment, without the necessity of any mechanical equipment, resulted in a crosslink between the fields of biology, computer science and design. Understanding the synthetic behaviour between the species and its biological process is a distinct approach towards creating the right containment to host and cultivate them. behavioural interaction between the species; Trophic Network and a Mutualistic Network (Karimi & Maron, 2017). “Trophic networks have been very widely studied and refer solely to the feeding relationships between the consumers and their resource(s)” (Karimi & Maron, 2017). Whereas, “Mutualistic networks have been little studied at the microbial scale and those existing between plants and pollinating insects are better known” (Karimi & Maron, 2017). Link-springer-com.libproxy.ucl.ac.uk. (2017). Shibboleth Authentication Request. [online] Fig 44 In the first scheme, the diagram illustrates the strengths and limitations of the microbial diversity. The â&#x20AC;&#x2DC;Taxaâ&#x20AC;&#x2122; in this diagram is an abbreviation of taxonomy and functionility of the microbial species.The second scheme suggests a network hat connects the microbes with one another as a result of the environmental quality. Fig 45 Link-springer-com.libproxy.ucl.ac.uk. (2017). Shibboleth Authentication Request. [online] A Trophic Network, which is also discribed as the food network, describes the predator and prey beahvior. interactional behaviour between the different level of species is through John Hollandâ&#x20AC;&#x2122;s model using ABM, Echo. In this model, Holland refers to the agents as creatures, and the agents with similar mating preference as species. The creatures are consumers who can exchange resources within one another. The model describes the idea of emergence and the evolution process. However, one can take this phenomenon and transform it into an evolution of different market that can contribute to the understanding of the economy. the algae and the pteridophytes, as first terrestrial plants.” (Kenrick and Crane, 1997; Edwards et al., 1995). Moss, in particular, is a small rootless plant, which is under the bryophytes category. Mosses grow as patches on wet surfaces. However, the difference between Moss and a natural plant is that Moss does not absorb water from the ground but instead from rain or surrounding surfaces. The symbiotic relationship between Moss, Fungi and Algae, is that all three species require the need to live in damp areas. Moss and Algae are similar in many ways; “ 1.
cycle being the gametophyte 4.
algal ancestry of the bryophytes. 6. Fig 51 Jill Harrison, C. (2017). Development and genetics in the evolution of land plant body plans. Simulating Moss based on DLA. Fig 52 Jill Harrison, C. (2017). Development and genetics in the evolution of land plant body plans. Fig 53 Ak3.picdn.net. (2017). MicrobialAlgae. Fig 54 Ak3.picdn.net. (2017). MicrobialAlgae. Fig 55 E., 2017. Saprophyte -. Biology Dictionary. Available at: https://biologydictionary.net/saprophyte/ [Accessed July 14, 2017]. Fig 56 Anon, Image Gallery: Mycelium Microscope. Image Gallery Mycelium Microscope. Available at: http://keywordsuggest. org/gallery/954248.html [Accessed July 14, 2017]. Anon, Moss and Stone Gardens. Moss and Stone Gardens. [Accessed July 13, 2017]. to track the growth process of the cell structure. nutrients that are provided by Algae. elongated along the tip of the cell (Knight, 2009). Anon, Novel Fungal Pelletization-Assisted Technology for Algae Harvesting and Wastewater Treatment. the process for fungi algae pallets formation. Available at: researchgate.net . Fig 58 - Time-Lapse Growth Study conducted by Marisa Dewi - ElJamal, S. (2017). Proliferate - Permeable Plateau. + Fig 59 3D represtentation of Moss growth - Houdini FX Model - Script from Entagma.com. (2017). VEX in Houdini: Diffusion Limited Aggregation (Plus Rendering in Mantra & Redshift) | Entagma. [online] Available at: http://www.entagma.com/vexin-houdini-diffusion-limited-aggregation-plus-rendering-in-mantra-redshift/#more-879 [Accessed 14 Jul. 2017]. Wilensky, U., Rand, W. (2006). NetLogo DLA Simple Extension 3 model. http://ccl.northwestern.edu/netlogo/models/ DLASimpleExtension3. microbial species it inhabits. The second level of computation will be implemented to drive the force of growth in the direction needed. DLA equation: the level of stickiness = Amount of shade (min 0.1 max 1.0) Density of the â&#x20AC;&#x2DC;movingâ&#x20AC;&#x2122; particles = level of humidity If level of stickiness = 0.1 Density of particles = 4000 The growth level increases and escalates. Probability of Sticking: 0.1 Probability of Sticking: 0.1 Probability of Sticking: 0.1 Density: 4000 Density: 4000 Density: 4000 Time : 250 Time : 500 Time : 1000 Fig 61 3D represtentation of Moss growth - Houdini FX Model - Script from Entagma.com. (2017). VEX in Houdini: Diffusion Limited Aggregation (Plus Rendering in Mantra & Redshift) | Entagma. [online] Available at: http://www.entagma.com/vexin-houdini-diffusion-limited-aggregation-plus-rendering-in-mantra-redshift/#more-879 [Accessed 14 Jul. 2017]. Fig 63 ElJamal, S. (2017). Proliferate - Permeable Plateau. The effect of data-driven factors, such as the sticking probability, and the density of the attractors can contribute to the possibility of controlling growth in relation to the required design. DLA equation: the level of stickiness = Amount of shade Density of the â&#x20AC;&#x2DC;movingâ&#x20AC;&#x2122; particles = level of humidity If level of stickiness = 0.5 Density of particles = 4000 The growth level increases and escalates. Probability of Sticking: 0.5 Probability of Sticking: 0.5 Probability of Sticking: 0.5 Density: 400 Density: 400 Density: 400 Time : 1000 Time : 2000 Time : 2500 Fig 64 3D represtentation of Moss growth - Houdini FX Model - Script from Entagma.com. (2017). VEX in Houdini: Diffusion Limited Aggregation (Plus Rendering in Mantra & Redshift) | Entagma. [online] Available at: http://www.entagma.com/vexin-houdini-diffusion-limited-aggregation-plus-rendering-in-mantra-redshift/#more-879 [Accessed 14 Jul. 2017]. Fig 66 ElJamal, S. (2017). Proliferate - Permeable Plateau. Fig 67 ElJamal, S. (2017). Proliferate - Permeable Plateau. Fig 68 3D represtentation of Moss growth - Houdini FX Model - Script from Entagma.com. (2017). VEX in Houdini: Diffusion Limited Aggregation (Plus Rendering in Mantra & Redshift) | Entagma. [online] Available at: http://www.entagma.com/vexin-houdini-diffusion-limited-aggregation-plus-rendering-in-mantra-redshift/#more-879 [Accessed 14 Jul. 2017]. + Fig 69 Multi Cultural Diversity - ElJamal, S. (2017). Proliferate - Permeable Plateau. Search Radius: 2.7 A & B has a negative Max Search Radius: 36 interaction, A & D has a units positive interaction. A, D, C has the most D has the most connections within each centrality which makes other. A lose dominence. Complex Interactions Powerful Interactions Positive Int. Possibility of other 7 links with ratio of 4:3 interaction: 42 Postive in control Negative Int. matrix can provide a taxonomy of possible interactions. D, C, F, and E each has one negative interaction. ElJamal, S. (2017). Proliferate - Permeable Plateau. the points to build around each cell, and the SDF volume to produce the depth of the cells. The interior on the surface is designed for each piece within the volume. The materiality of the project is an essential element that is diverted by the species that inhabits it. + 3D represtentation of Moss growth - Houdini FX Model - Script from Entagma.com. (2017). VEX in Houdini: Diffusion Limited Aggregation (Plus Rendering in Mantra & Redshift) | Entagma. [online] Available at: http://www.entagma.com/vex-in-houdini-diffusion-limited-aggregation-plus-renderingin-mantra-redshift/#more-879 [Accessed 14 Jul. 2017]. No longer are we limited to only looking at the surface of matters and materials. With the theories explored in ‘A New Kind of Science,’ ‘Game of Life,’ and ‘DLA,’ we arrive at the knowledge that we have only touched the tip of the iceberg when learning about the complexity of the production of these matters and materials. We now have in the palm of our hands the tools and skills to further study in minute details the intricate patterns that form our everyday surroundings. With what we have now from agent based models to rigorous studies, we can analyse the behaviour of complex systems through integrating elements from nature, surroundings and the species requirements to survive in the world that we are in now. To further our understanding of the materials that are continuously advancing and demanding, we require the aid of technology that also advances in line with our demands for it. Ultimately, we should not be satisfied with the results before us. We cannot be idle in the face of constant development from life, nature to technology and other factors that directly and indirectly affect our surroundings. Abstract: Nature reviews Molecular cell biology’, Nature Reviews Molecular Cell Biology, 9(8), pp. 2. 593–602. doi: 10.1038/nrm2460. 3. Anon, Plant Science 4 U. Similarities between Algae and Bryophytes. Available at: http://www. plantscience4u.com/2013/07/similarities-between-algae-and.html#.WWiOnYjyt3g [Accessed July 14, 2017]. 4. Anon, (2017). [online] Available at: http://www2.hawaii.edu/~nreed/ics606/papers/Macal06model.pdf [Accessed 31 May 2017] 5. Caballero, L., Hodge, B. & Hernandez, S., 2016. Conway’s “Game of Life” and the Epigenetic Principle. Frontiers in Cellular and Infection Microbiology. Available at: https://www.ncbi.nlm.nih.gov/pmc/ articles/PMC4905947/ [Accessed July 14, 2017]. 6. Coursehero.com. (2017). As many more individuals of each species are born than can possibly survive [online] Available at https://www.coursehero.com/file/p66o1po/As-many-more-individuals-ofeach-species... [Accessed 31 May 2017]. 7. 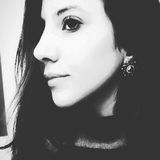 DE QUEIROZ, K. (2017). Branches in the lines of descent: Charles Darwin and the evolution of the species concept. 8. Darwin C. On the origin of species. John Murray; London: 1859. 9. Gánti, T. (2003). The principles of life. Oxford: Oxford University Press 10. Gardner, M., 1984. Codes, ciphers and secret writing, New York: Dover. 11. GLOBAL4CAST.ORG. (2017). Entropy of the (International) System. [online] Available at: https:// global4cast.org/2017/02/08/entropy-of-the-system/ [Accessed 31 May 2017]. 12. Ghose, A., 1940. The life divine, Calcutta: Arya Pub. House. 13. Hensel, M. (2006). 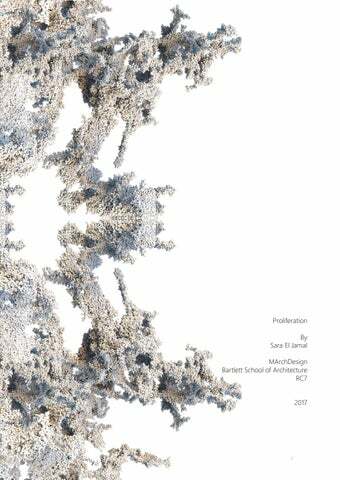 (Synthetic) life architectures: ramifications and potentials of a 14.	literal biological paradigm for architectural design. Architectural Design, 76(2), 18-25. 15.	doi:10.1002/ad.236 16. Hensel, M. (2006). Computing self-organisation: environmentally sensitive growth modelling. Architectural Design, 76(2), pp.12-17. 17. Holland, J.H., 1996. Hidden order: how adaptation builds complexity, Reading, MA: Perseus Books 18. Holland, John H. (1998), Emergence from Chaos to Order, Oxford University Pres 19. Natureofcode.com. (2017). The Nature of Code. [online] Available at: http://natureofcode.com/book/ chapter-7-cellular-automata/ [Accessed 31 May 2017]. 20. Ias.ac.in. (2017). 21. Johnson, S. (2001). Emergence. New York: Scribner.